'House Of Cards' star Robin Wright has said she fought to save the series - and 2,500 jobs - in the wake of the allegations against Kevin Spacey. Spacey, who played fictional US president Francis Underwood, was axed over the accusations, which came after the Harvey Weinstein scandal kicked off. 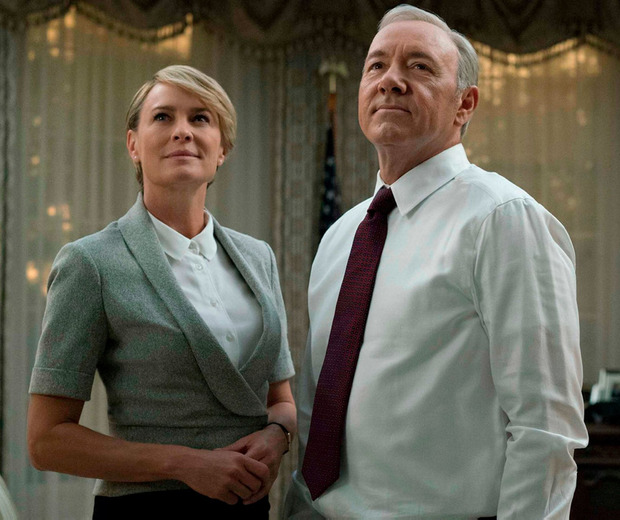 Wright, who plays his wife Claire Underwood, said the show came "very, very close" to being cancelled after its fifth season, "because of the climate at that time". She added: "If you include security, cops, shooting on location in Baltimore, everything, 2,500 people would have been out of a job." She said there was an atmosphere of "shock and fear" on the set as the show's future looked uncertain following the allegations, that were kicked off by actor Anthony Rapp in October 2017. Rapp alleged he was 14 when a 26-year-old Spacey made a sexual advance to him in 1986. Spacey, now 59, said he did not remember the encounter but apologised for any "inappropriate drunken behaviour". The actor is currently being investigated in the UK for six sexual assault or assault claims over 22 years, and prosecutors in California are now reviewing two other cases.